You ready for a whole mess of live music this summer? Well, we understand if you’re overwhelmed by the sheer choices of bands/DJs/artists to check out in Atlanta. That’s why we did all the legwork for you, curating a collection of truly can’t-miss concerts — especially if you’re a fan of soul, jazz, house and true-school hip-hop. Read up and plan accordingly. June 23: Underground System, The Dangerfeel Newbies, Daz I-Kue — Local soul/jazz/house heroes The Dangerfeel Newbies and U.K. born, ATL-based producer/DJ Daz-I- Kue take the stage with rising Afrobeat stars Underground System … which is sure to equal a genre-jumping night of high-energy music. Aisle 5. aisle5atl.com. June 24: Jonathan Butler, Peabo Bryson and Regina Belle — Cobb Energy Performing Arts Centre. www.cobbenergycentre.com. June 25: Black Milk & Nat Turner with Boog Brown, Yani Mo, DJ Kerosene, Hosted by Fort Knox — Aisle 5. aisle5atl.com. Feb. 29: King — Fans of the ultra-melodic soul trio King should get an award for patiently awaiting the release of the band’s first full-length album, “We Are King.” I mean, it seems like it took the group — made up of sisters Paris and Amber Strother and “musical sister” Anita Bias — like, forever to get back on the scene with new music since they took the world by storm via their first EP, “The Story.” So we can all thank the creator for the chance to jump ear-deep into more of King’s dreamy harmonies and vibey soundscapes. And to celebrate the release of “We Are King,” the crew has hit the road once again, with plans to invade Atlanta tonight. Expect to hear plenty of that new-new, but I’m sure audience members who’ve been riding with them since 2011 will be treated to renditions of early cuts like “Hey” and “Supernatural.” Bring your rumps. $15-$20. 7 p.m. Vinyl, 1374 West Peachtree Street. www. centerstage-atlanta.com. 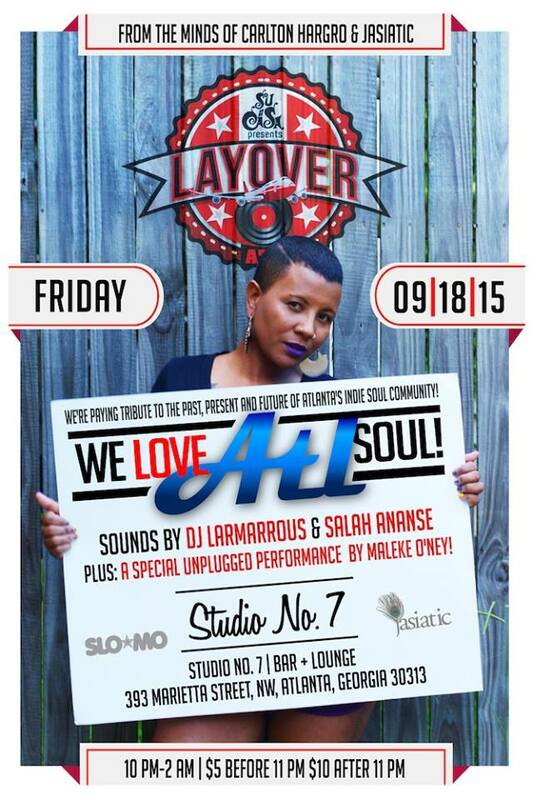 September 18: Su Casa presents: Layover ATL — We Love ATL Soul! The city’s freshest new soul-flavored event is back, and this time we’re paying tribute to the past, present and future of Atlanta’s indie soul community!